Firmly grounded in decades of design excellence, craftsmanship and product innovation from Bang & Olufsen, B&O PLAY interprets the same values for a new type of contemporary product aimed at design-conscious and active cosmopolitan music lovers. B&O PLAY transforms your listening experience with better sound and acoustic performance wherever you go, with in-home music systems, portable speakers and headphones that integrate seamlessly into everyday life. 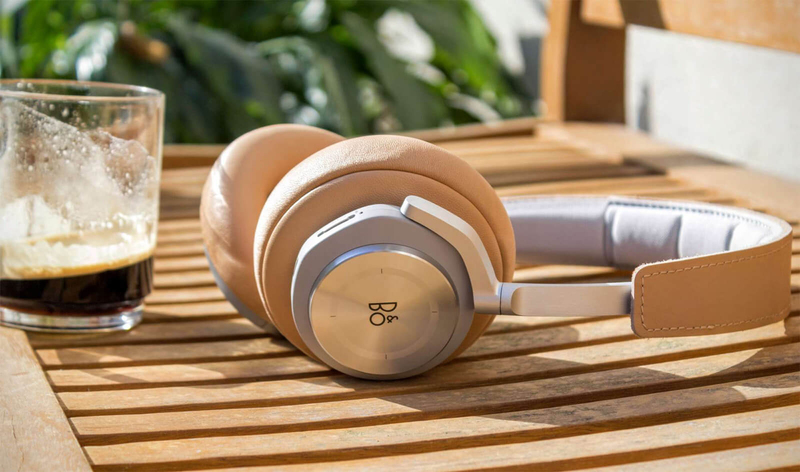 Go where the music takes you with the immersive listening experience of Beoplay H8 wireless headphones. Designed for serious music lovers, these stylish Bluetooth headphones are equipped with active noise cancellation and an intuitive touch interface to control music and calls. Adapt your tunes to your activities through the Beoplay App and enjoy mobile music and calls with up to 14 hours of battery life. 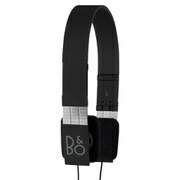 Delivering the superior audio performance listeners have come to expect from Bang & Olufsen, these headphones provide big sound in a sleek, portable package. Active Noise Cancellation lets you choose when to escape completely into the perfectly balanced sound and when to let the outside world in. The aluminium touch interface on the right ear cup keeps you in control. Simply tap or swipe to manage calls, play or pause music, switch tracks, adjust volume and control ANC. The touch interface works with gloves, too – so even on cold days, you’ll never miss out on a hot tune. 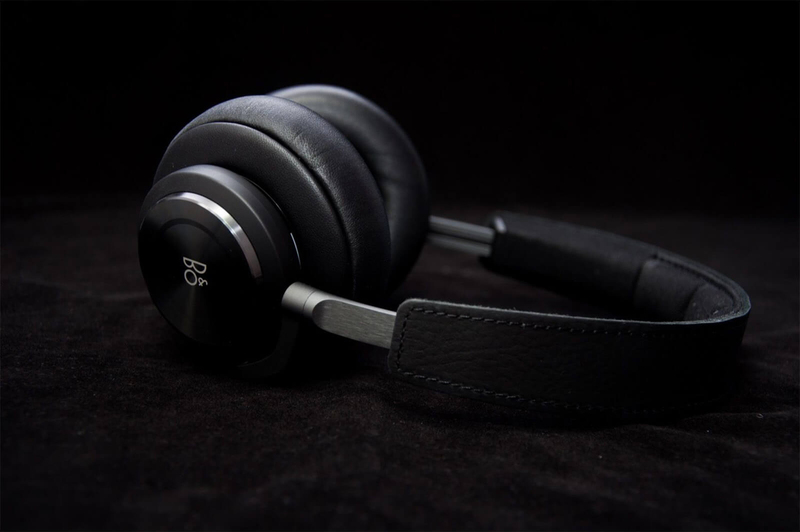 Designed by Jakob Wagner, the Beoplay H8 headphones feature clean lines and premium materials. Anodised aluminium, soft lambskin and genuine cowhide leather age with beauty, developing a rich patina and unique personality over time. 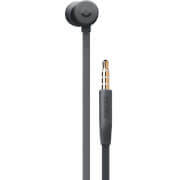 For optimal on-the-go performance, the rechargeable Lithium-Ion battery of these wireless headphones lasts up to 14 hours with ANC and BT enabled. With ANC only, you can enjoy up to a whopping 35 hours on a single charge. 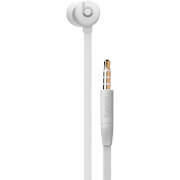 Charging time is approximately 2.5 hours and an audio cable is included. 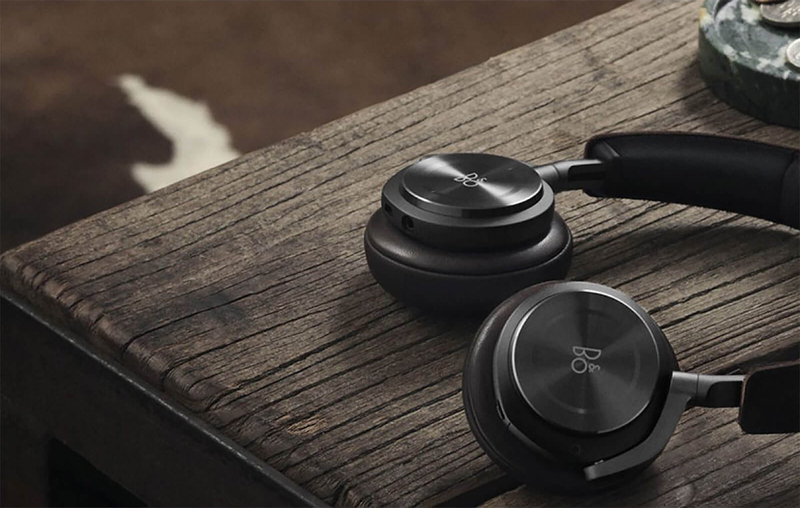 High quality materials provide comfort and style to the Beoplay H8. Covered in soft lambskin, ear cushions featuring adaptive memory foam offer a luxurious feel and comfortable fit. Even when you’re not listening to music or making calls, these lightweight headphones rest gently around your neck, never weighing you down. Innovative technology and sleek styling make these wireless Bluetooth headphones a smart companion for on-the-go professionals. A built-in microphone lets you chat with friends or teleconference with colleagues, while the dynamic 40 mm driver speakers keep music and conversations coming through loud and clear. Classical! Must have. Good quality and modern design. Light! Easy to carry. Good price! Cannot miss this classic item.